Step out of your world and into Harley Quinn's madness this Halloween. 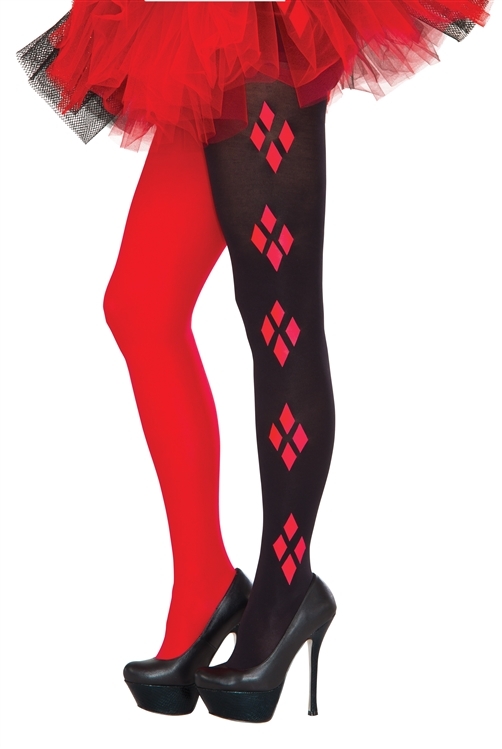 Complete your Harley look with the Harley Quinn Tights, complete with diamond pattern up the sides. Adult sized.